This is a paid for sponsored post by Panasonic. All opinions are my own. I’ve been on the meal prep train for the last couple of years. I don’t do it every week, but I try and do it most of the time so that I don’t have the all-too-common issue of taking at least half an hour trying to decide what to have for dinner. Then end up frustrated and snacking on some junk food, or ordering a cheeky takeaway. 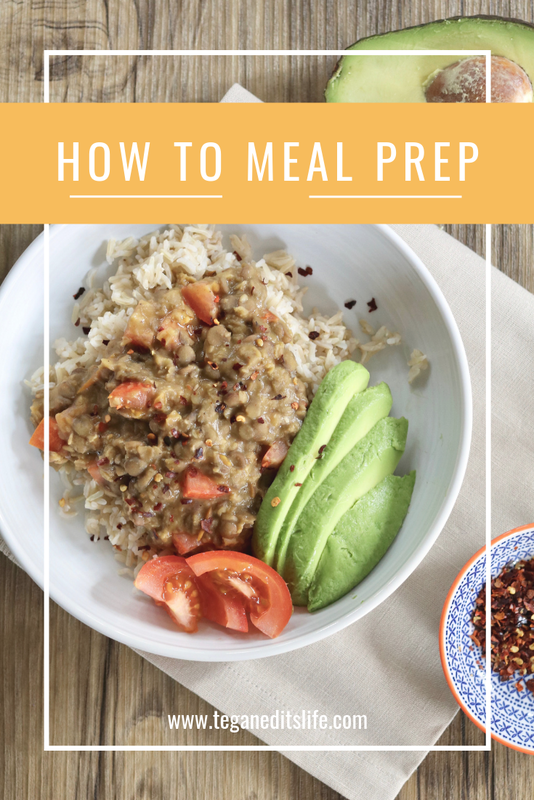 Today’s post is all about giving you some helpful tips on how to meal prep, making it simple and easier than you think. 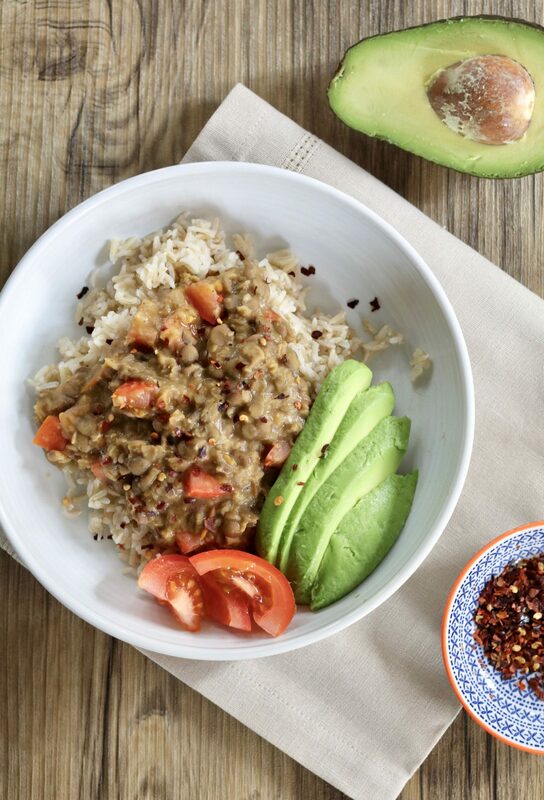 This post is in collaboration with Panasonic who has created an abundance of microwave recipes that are perfect for when you’re in a rush or when you need inspiration for next weeks meal prep. So that you have no fussing about, just pop it in the microwave, decide what you want to do on your lunch break – or what to watch on Netflix in the evening, and wait for it to ding. When I meal prep I tend to do two different dishes, which might sound like it’s not enough for the week – and you’d be correct. I juggle with meal prepping and cooking fresh in the evenings as I mostly work from home. However, I always do batch cooking. In case you don’t know, batch cooking is where you cook for more people than you need to. In my case prefer to cook for about 4 people, this way both myself and my partner have food for the evening, but also so I can freeze leftovers and have them in the coming days or weeks. These meal prep tips have helped me to focus when food shopping, as well as helping me to stick to a stricter food budget every week. 1. Make a list and only get what you need. If you’re anything like me and you get distracted by goodies you pass in the isles, make a list and stick to it. This helps you to A) remember what you need (which is always helpful), and B) makes you more accountable for adding the things you don’t need, which could go to waste. 2. Set aside an evening, or some time over the weekend, to cook everything for the week ahead. Have a day in mind, but also have a second one just in case something comes up and you end up not being able to cook everything on the first. 3. Make sure you have a stock of basics. This is slightly contradictory to the first point, but having a stock of those ingredients that are used again and again is extremely helpful. For example onions, garlic, herbs, spices, and maybe even a couple of cans of chopped tomatoes and some pulses and grains. Get the ones you know you love and the items you usually use more than once, and wait for get the others when you actually need them. 4. Try to overlap ingredients with recipes. For exmaple, it’s usually cheaper to get a pack of 3 peppers than 2 individual ones, so why not see if you can use another recipe that requires a pepper. Or you can add that extra pepper to another dish so it has more healthy veggies in it. This might be easier when you have some practice in meal prep, but if you’re new to it and love cooking give it a try. 5. Tupperware. Whether you already have tupperware boxes, or you want to use those takeaway boxes you’ve stocked up on, use them! It’s usually better if they are the same size, but it’s perfectly fine if they are not. Tupperware containers can be used in the microwave for heating up your meal quickly, or they can help you to understand portion size. 6. Going on from tip number 5: Think about portions. How much do you normally eat – don’t over do it with portions as you don’t want to be wasteful. Make sure you have enough food, otherwise you’ll probably get hungry and buy a snack later on in the day. For example, if you make a curry, make sure you have a small portion of rice in the same box. This way it feels more like a whole meal and you’re less likely to get hungry straight after eating it. 7. Label. Label. Label. There’s nothing worse than putting boxes in your fridge/freezer and then having to take a few out to work out what’s in which box. If you’re keeping a lot of your meals in the fridge, it’s best to put the labels on the side of the box facing you. So when you open the fridge door you can easily and quickly pick what you want to eat. On the other hand if you prefer to store them in your freezer, labeling them on the lid might be the better option. I hope these tips help with your meal prepping needs. Do you meal prep, or have I made you think about doing it? I have a number of go-to recipes when I meal prep, if you’d like me to share some recipe posts to coninside with easy meal prep in the future, leave a coment below and I’ll be happy to put some together.